We’re already into the new year? My goodness time flies. We’re already taking reservations for spring and summer. We close at Noon on Tuesday, December 24. We’ve been so busy we haven’t even had time to update our website. But it’s that time to start thinking about your summer plans. Just give us a call or shoot us an email. Also a reminder that we will be closed Memorial Day, Monday May 28, Independence Day, Wednesday July 4, and Labor Day, Monday September 3. To our dear and valued customers, we are having a rate increase as of January 1, 2018. Boarding rates will increase by a dollar per pet (please see boarding rates). Grooming will increase by $5 per dog. We are dedicated to the care of your pets. We not only care for their physical needs such as food, water, and keeping their kennel clean, we make an environment so that they are emotionally comfortable. We will give them one on one attention and try to make them feel as secure as possible. 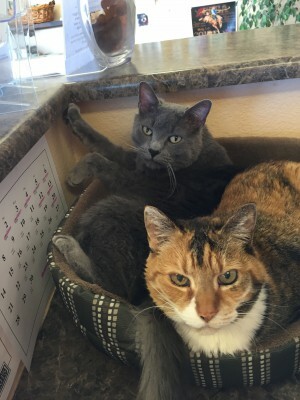 Mountain View Pet Lodge is a pet kennel that truly feels like home.